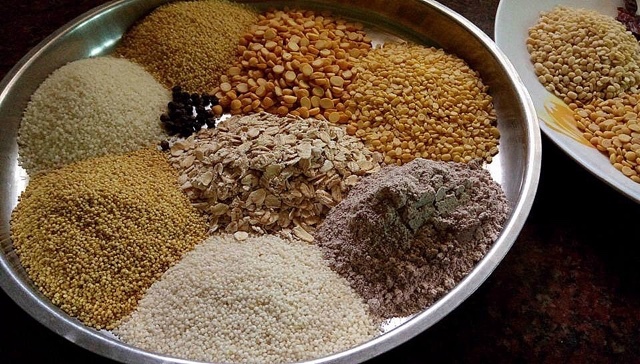 This 10 grain adai mix is the most healthiest combination bringing in many healthy dals and millets together , with addition of oats . The end result is a great tasty spicy adai. 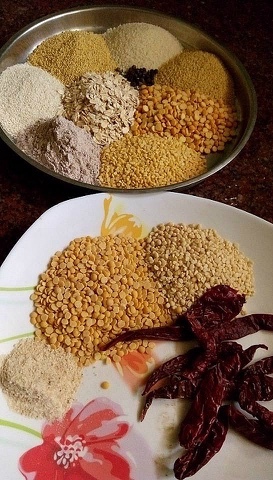 You have the choice of the soak and grind method if you have the time or and also prepare this powder in bulk for carrying along with you on your travels .Like many such mix recipes that I have made before I am concentrating on the powder types , ready to make adai mix as it is useful to people on the move. 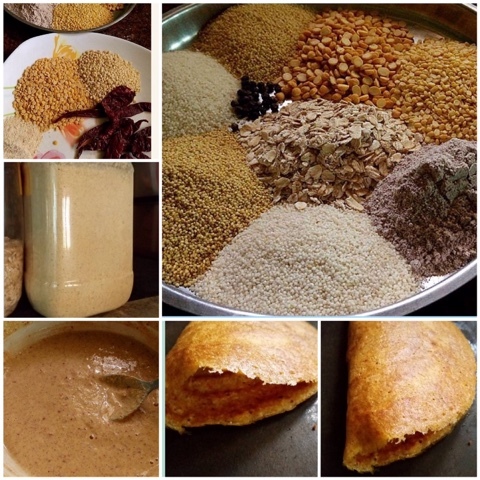 10 grain adai mix is just to remind that there are 10 healthy grains in the mix and you can blend this powder in advance and store in air tight containers and enjoy quick adai when ever you feel like. add some curry leaves after dry roasting till crisp , let cool and add to powder. Dry the ingredients well either by sun drying or in a microwave, let cool. Powder in a mixie . 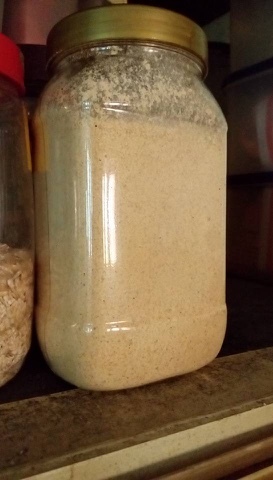 You can powder 3/4 quantity to a very smooth texture and remaining to a little rava / sooji like consistency .Mix both the powders well .Store in a clean dry container . 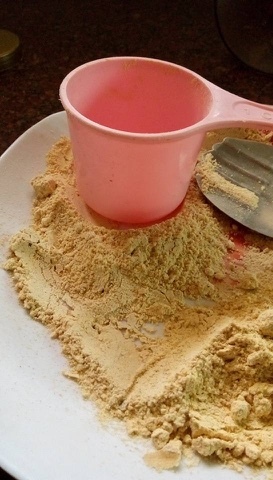 The ingredients mentioned above makes 3 3/4 cups of adai powder . Cup mentioned here is the baking cup measurement . 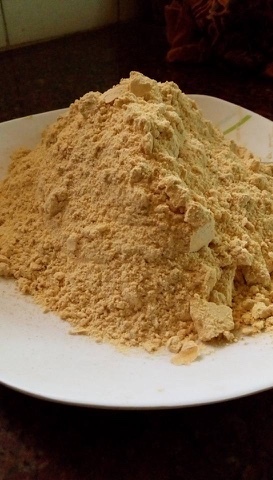 Measure the required quantity of the adai powder. Add salt , and mix with water to make thick batter . After resting add little more water if necessary and proceed to make adais.